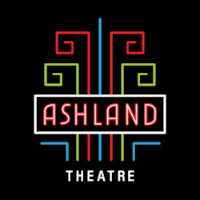 We can’t wait to welcome you to the Ashland Theatre! When you arrive you will walk up to our glass front doors and come inside. You may see our logo printed into our rug on the floor. There is a short hallway that you enter that has four television screens that show pictures of our upcoming films and events. Next you will come to the lobby where we have some pretty circular lights on our ceiling. Our theatre is all colored blue. Blue seats. Blue walls. Blue floors. We also have a concession stand there where we have snacks available to purchase. At the front of the theatre you will see our movie screen. This is where we will show the film and the speakers around the sides of the auditorium will help you hear the film. When our film starts the lights in the theatre will get dimmer - but they will not go out completely. Our film sound level is set so everyone hears everything and can follow the story of the movie. If for any reason you need a break from the movie - we invite you to step into our lobby. We will have some quiet areas for you to relax until you are ready to go back inside and enjoy the film. The Ashland Theatre works hard to make sure you have a fantastic time when you come to visit us. If there is anything we can do to help you, please ask one of our friendly staff members or volunteers.